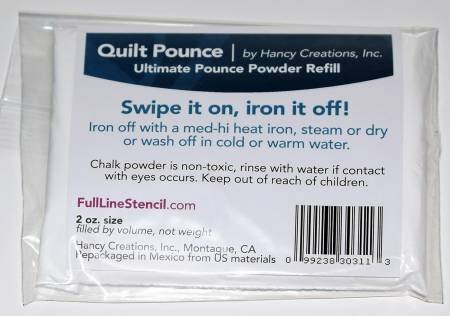 Ulitmate white Hancy Mfg Quilt Pounce Refills come in an easy to use, zip bag.Easily washes off with water iron it off! This powder stays put, no more bouncing. 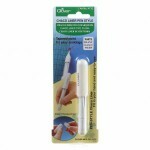 Works great to refill your Clover Chalk Markers.